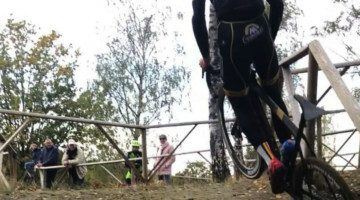 The American West, and CrossVegas in particular, must have made a favorable impression on Sven Nys, because he came back in dominating fashion to the race that marks the kick off of cyclocross season for many US fans. The race was not without controversy, however, as an early feed by Nys, and rowdy cycling fans spraying beer made the hot Las Vegas night one to remember. Nys, not fazed in the least, seemed to genuinely enjoy the change of scenery, tweeting accolades to his sponsors after the race. 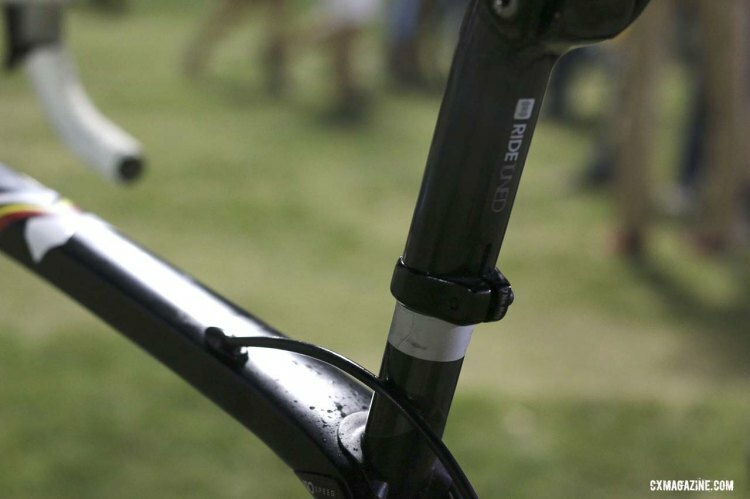 Cyclocross Magazine was on hand and got to take a closer look at Nys’ stealthy looking Trek Boone before the race. 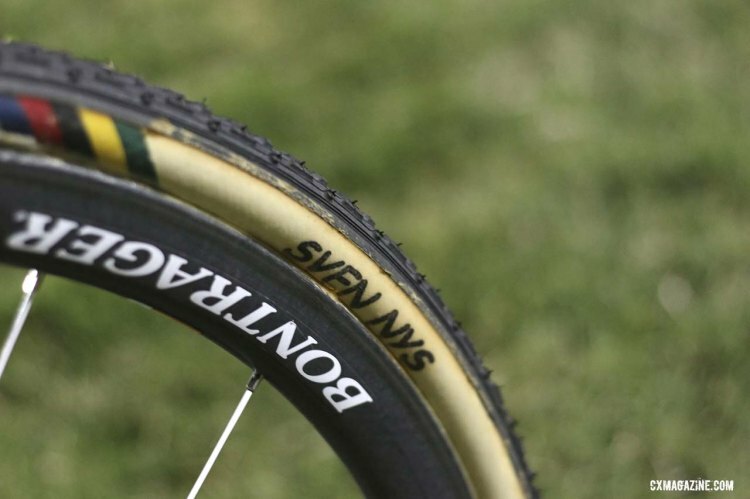 Nys debuted his new bright green Boone at the Grand Prix Sven Nys back in January and with a few exceptions, mainly the paint scheme, this represents the same build we wrote about at the unveiling. 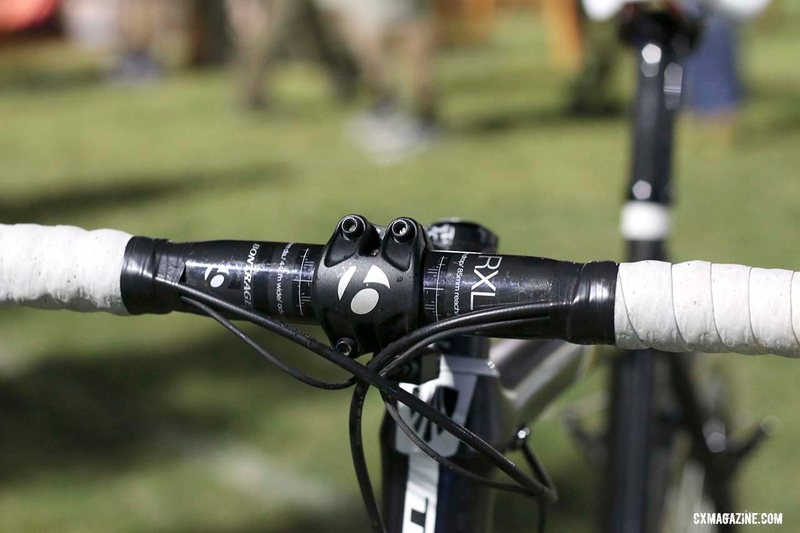 Disc brake and cantilever models are offered, but Nys favored the traditional cantilever setup for CrossVegas. Components are similar to ones we’ve seen on Nys’ past builds including a full Dura-Ace 9070 Di2 group with 48/39 chain rings, and 11-26 11-speed cassette. 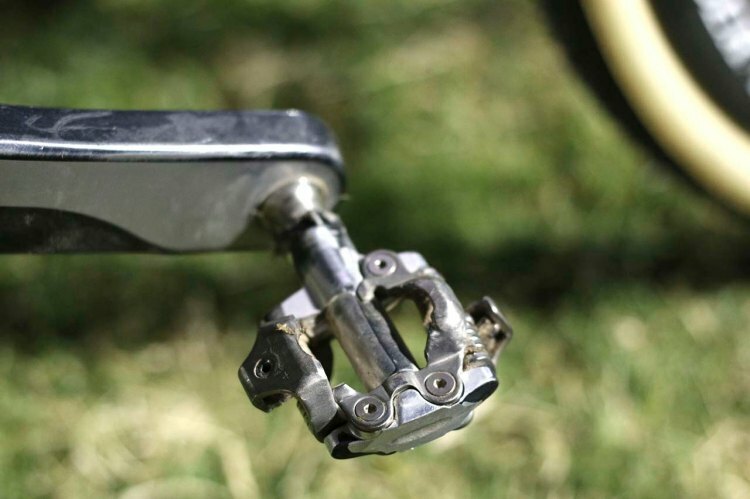 Stopping is done with Shimano CX70 cantilever brakes. Nys has been using unmarked Shimano pedals for some time now, but they’re actually heavily-modified XTR M980 pedals. 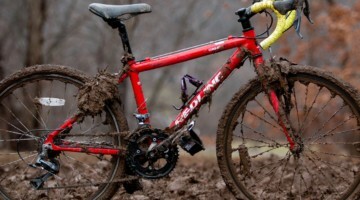 The pedals are machined down for better mud clearance, and apparently they do the trick although CrossVegas was far from muddy. A Bontrager Serano RXL saddle, Bontrager Aelous 3 D3 tubular wheels and Dugast tires finish off the build nicely. Little touches also add some class like Nys’ name on the sidewalls and a little something extra on the inside of the chainstay for good measure. Nys might be back for more Vegas fun next year, as he clearly seems to to enjoy his trip to the desert. See more on Nys’ stateside trips and his Las Vegas experience in this video excerpt produced by Sporza about his trip last year. 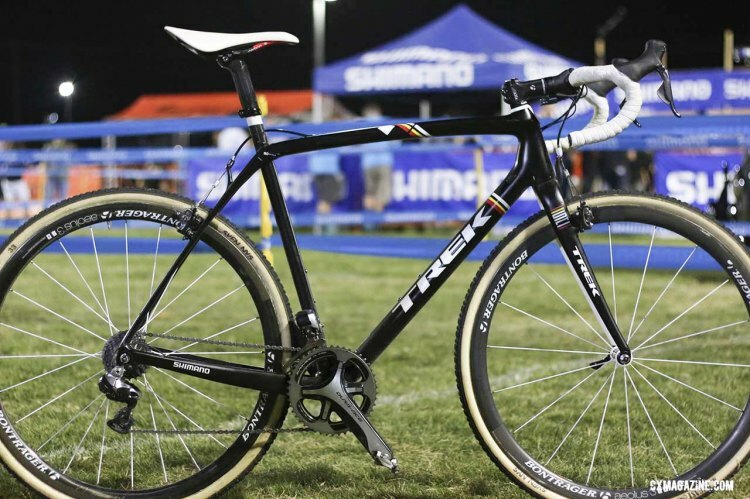 Stay tuned for many more pro cyclocross bike profiles from CrossVegas 2014. See also Katerina Nash’s “Orbea” Hakkalugi cyclocross bike. 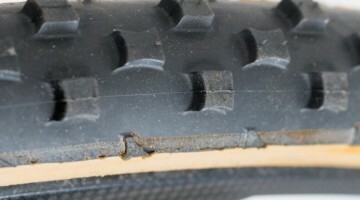 OMG no disc brakes ! 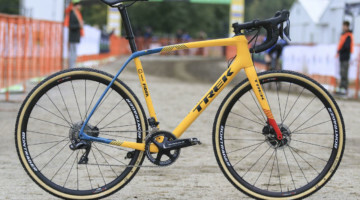 cyclocross sven_nys TrekBikes No discbrakes this time ? Looking forward to riding mine today. He has both of course, disc & non! 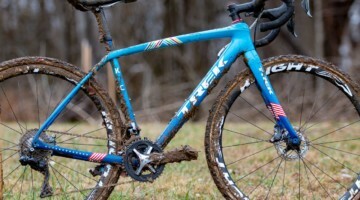 TrekBikes apparently you always need N+1 bikes so I now saving up for a Boone. Heart says go for a 9 🙂 wallet says get a 5. Decisions!